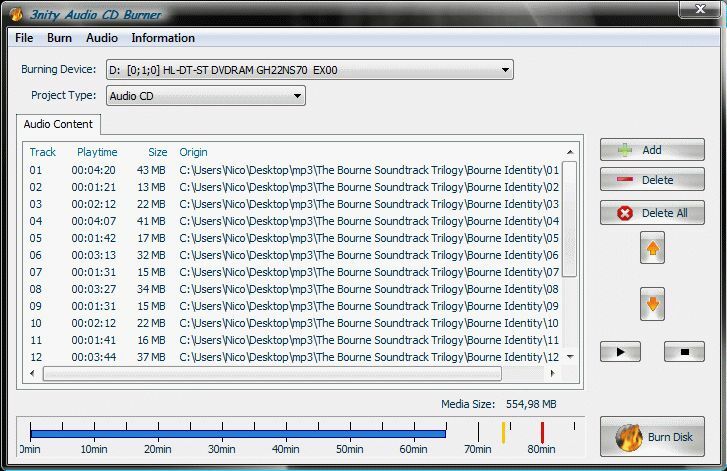 3nity Audio CD BURNER is a simple free option for burning audio CDs from music files. It supports input of MP3, OGG and WMA files, and can write CD-TEXT from information stored in the files. burns CD-R and CD-RW discs. erases information from rewriteable discs.